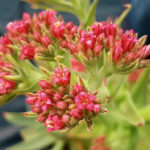 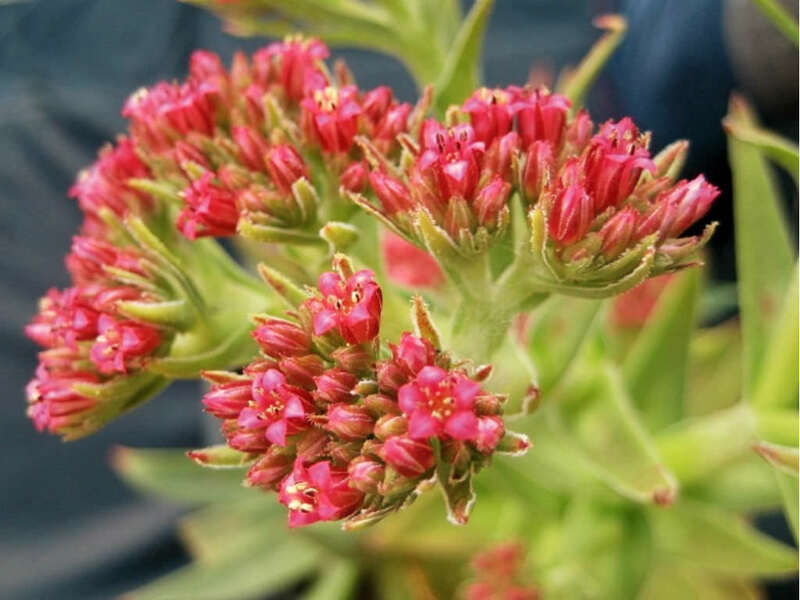 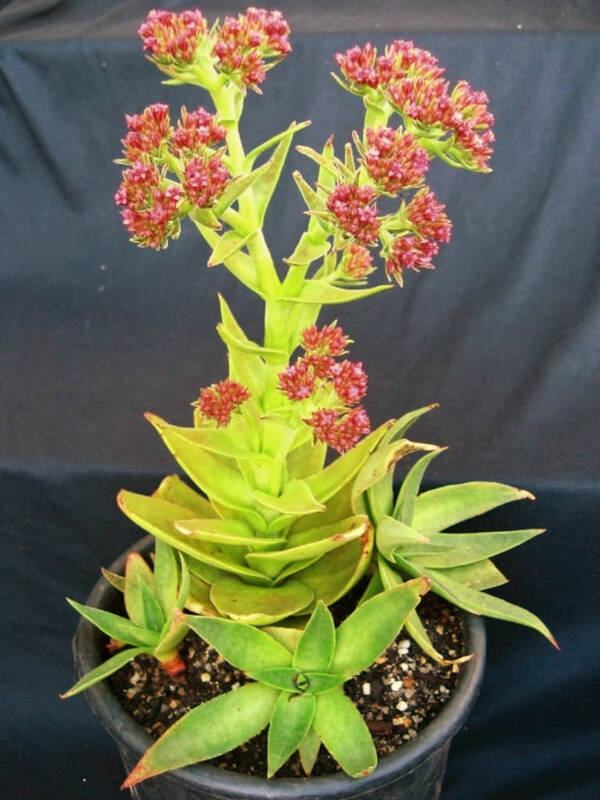 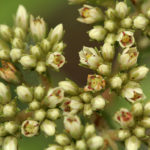 Crassula alba is a rosette forming succulent, up to 20 inches (50 cm) tall (including inflorescences). 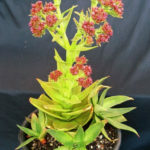 The leaves are up to 7 inches (17.5 cm ) long, up to 0.6 inch (1.5 cm) wide, spirally arranged, flattened, lanceolate to linear-lanceolate, and green to yellowish-green, sometimes with purple spots. 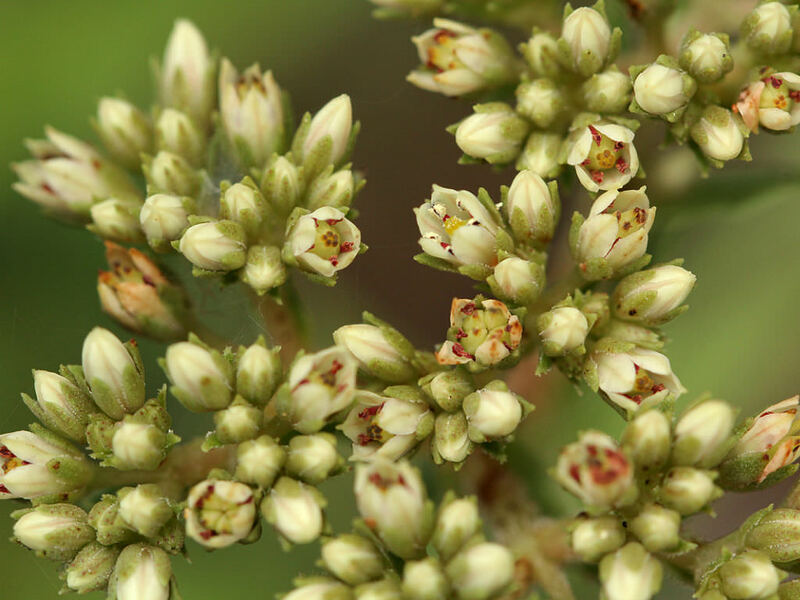 Flowers are white to red and grow in summer in groups forming a flat inflorescence. 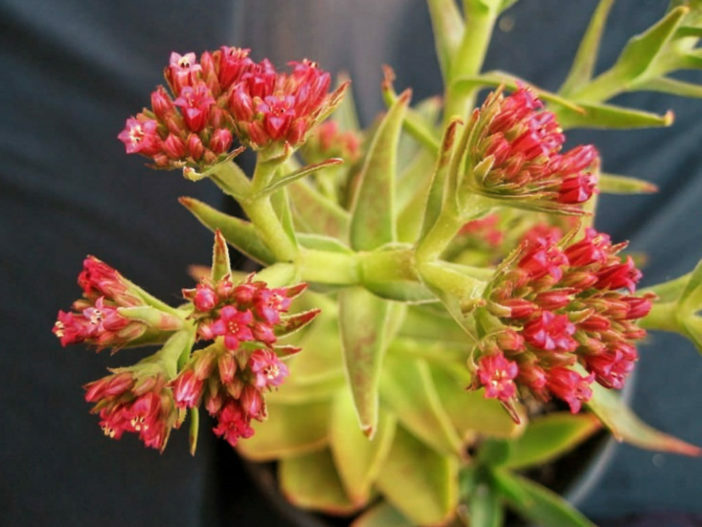 Native to South Africa and Swaziland.